This model was introduced in 2019. The dial is crafted from solid silver and graced with appliques and hour markers made of honey gold. The hands are made of honey gold as well. The hour, minute, day-of-week and month hands are luminous. Price: 85.000 €* *Recommended retail price in Germany including VAT. Non-binding quotation, prices subject to change. Eagerly awaited: In 2019, we are again presenting our exceptional timepieces at the Geneva Watch Fair (SIHH). 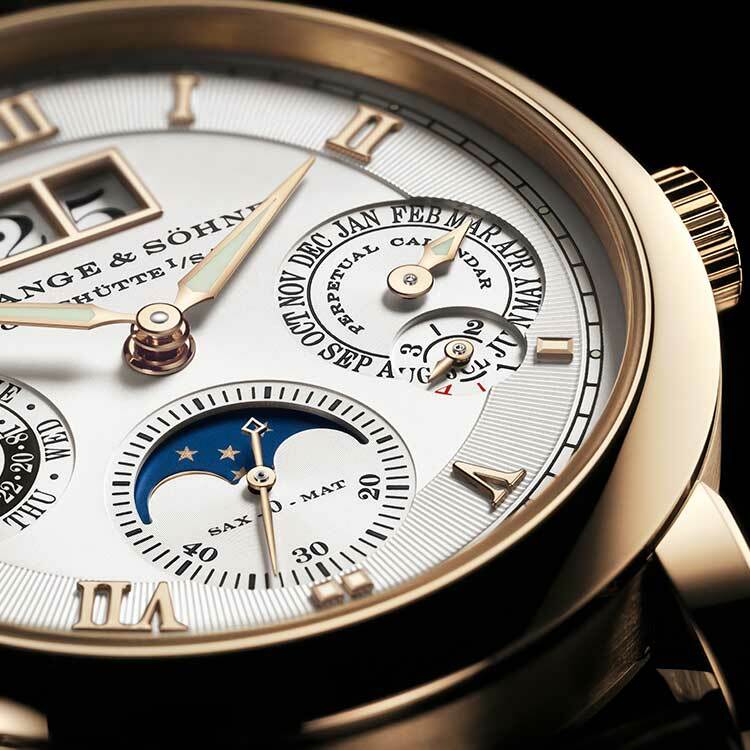 In their understated yet inimitable way, our classics focus on A. Lange & Söhne’s typical brand hallmarks. 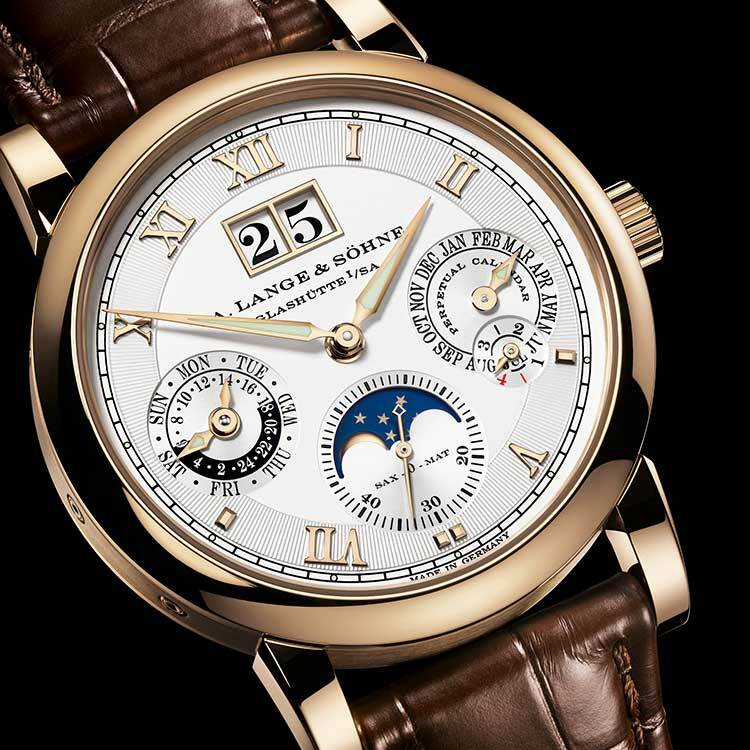 The history of A. Lange & Söhne is characterised by highs and lows, successes and difficult times, and mainly by unique, strong-willed individuals.